This is a guest post by Roger of Expert World Travel. It may not be nicknamed the “Country of Love”, but with picture-perfect views of mountains, rivers and lakes, is there any other country more romantic than Switzerland? Whether you are on a honeymoon, celebrating an anniversary, or just beginning to look for “the one”, Switzerland is perfect for a cozy cuddle under the blanket overlooking beautiful landscapes with your partner. From grand gestures in a luxury resort to a quiet candlelit dinner in a small village, there are more than enough things to do in Switzerland that will kindle a little romance. 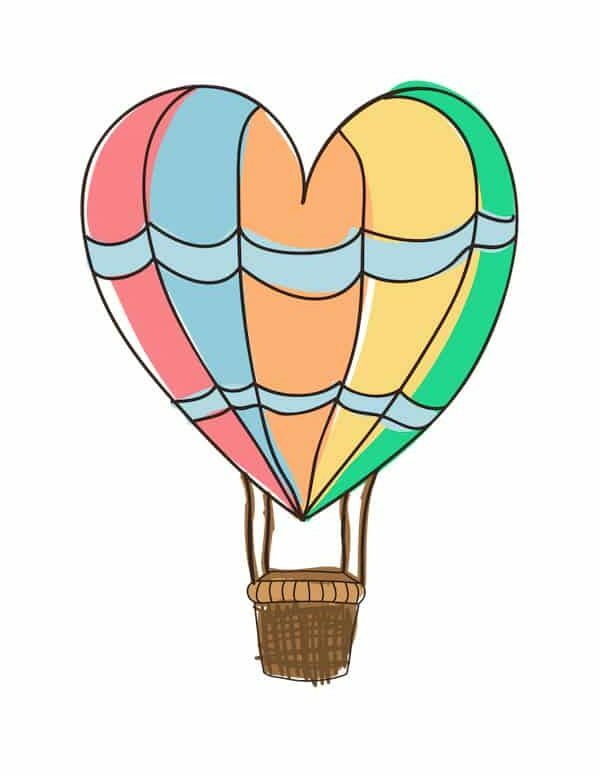 So, here are some tantalizing ideas for your Swiss love story. Switzerland is breathtaking any time of the year, but something magical happens when everything is covered in pristine white snow. It might be tempting to hit the slopes, but when you’re with your partner, cuddling together on a dog sled is arguably the best way to experience winter here. Whether you only have time for a 20-minute ride or you’re up for a full tour, there are many options to choose from anywhere you are in Switzerland. You can also combine it with a romantic overnight stay in a Whitepod. There are so many hotels you could choose in Switzerland for a romantic night, but why not choose a more unique location for a memorable stay. Whitepod is such a place. It’s an eco-luxury hotel in the southern Valais region of Switzerland, just south-east of Lake Geneva. 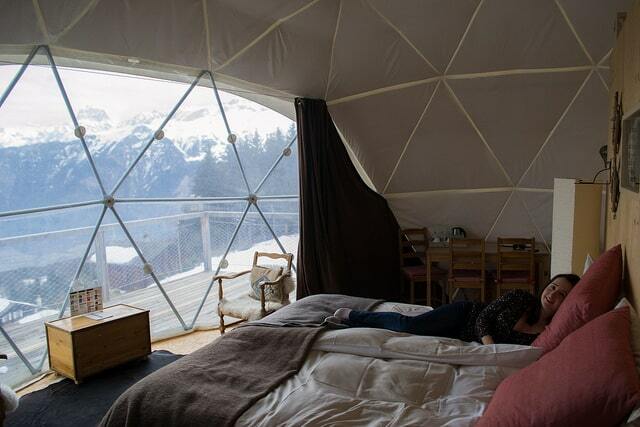 Each pod uses minimal material for geodetic-shaped (dome) frames tucked discreetly away, alone on the mountainside. You’re surrounded by a wealth of outdoor activities and served warm, scrumptious meals at the top-class restaurant. 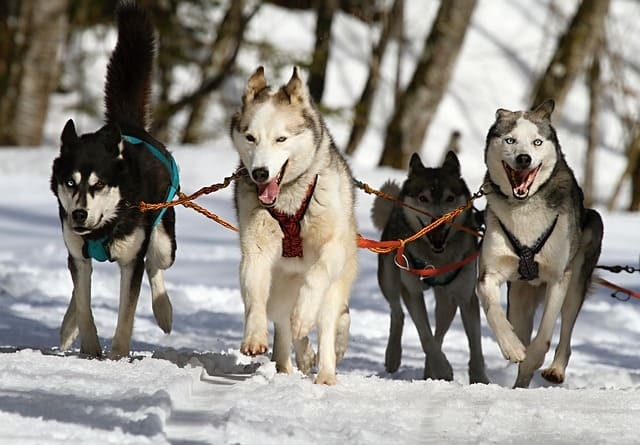 You can even partake in a dog-sled ride while you are here, just be sure to book ahead (we didn’t and it was booked out). At the end of the day, you can cuddle under warm and plush blankets as you gaze out your window for a view of the stars, the mountains, and the town down below. Lake Geneva is one of the most photographed Swiss waterscapes. Flanked by Geneva, Lausanne, Montreux, and Thonon-Les- Baines, this northern Alpine lake is a favorite for European travelers for obvious reasons. The shores and waters of Lake Geneva are always abuzz with the activity of people from all walks of life, but, in the summer, it takes a more artistic turn. 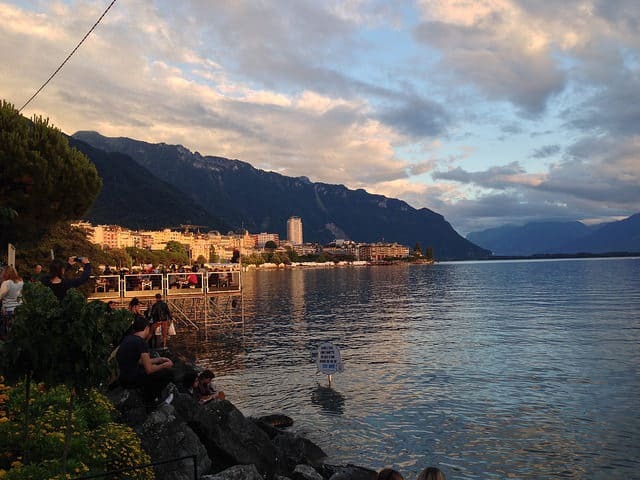 The Montreux Jazz Festival is held every year in July directly on the shoreline of Lake Geneva. During this period, the air is filled with the seductive sounds of Jazz and that warm summer wind we all love. While everyone else makes themselves comfortable on the grounds surrounding the lake, you and your partner can enjoy sunset views of the lake while indulging in rhythmic expression of Jazz music with a glass of local wine in your hand. 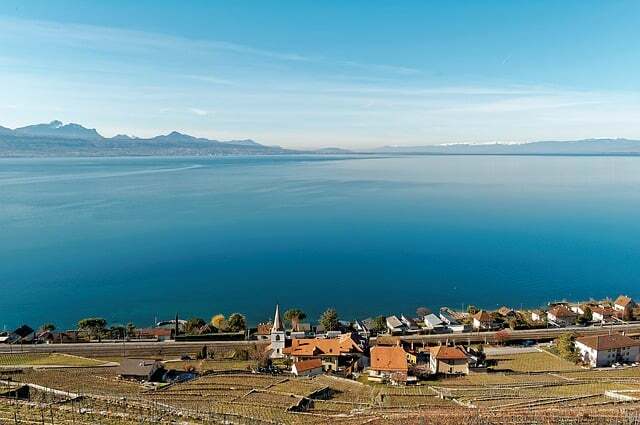 Speaking of wine, nestled between the lakeside hills of Lausanne and Montreux is the UNESCO-listed Lavaux Vineyards. It’s said that the vines in the area date back to the 11th century and have since produced some of Switzerland’s finest wines. Every village in the area has its own local wine cellar, giving you a taste of the variety of flavors and techniques used in this area. A trip to the vineyards gives you and your beau a romantic experience walking through vine-lined paths with arguably the most magnificent views of Lake Geneva and the surrounding mountains (including Evian). You can go village-hopping and make your head swim in fine wine and munch on locally produced cold cuts and cheese served in small shops in the village. Switzerland may not be renowned for its wine, but it’s actually won me over while living here. And when you combine that with its cheese and views, it doesn’t get any better. The upmarket town of St. Moritz is known for glamour, luxury and everything fancy. This Alpine resort in the Engadin valley hosts many winter sports and activities set against a stunning background of the mountains, lakes and mineral springs. It’s no surprise that this was the place that started tourism to Switzerland back in the late 1800s. A visit to this elegant resort town may be pricey, but you will not run out of ideas to make your loved one swoon. A great way to simply spend time together, even if you don’t stay in one of the expensive hotels, is sunset drinks at El Paradiso. There’s tough competition for restaurants with a view in St. Moritz, but El Paradiso is at the top of the list. 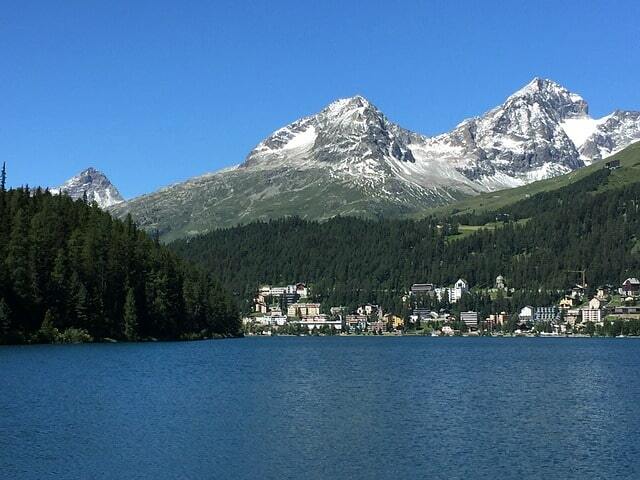 Here you can enjoy the best views of St. Moritz and the surrounding peaks. Its menu includes local dishes with French and Italian fusions. You can opt for a light lunch, a full-course dinner, or a cocktail date and this well-located restaurant will not disappoint. 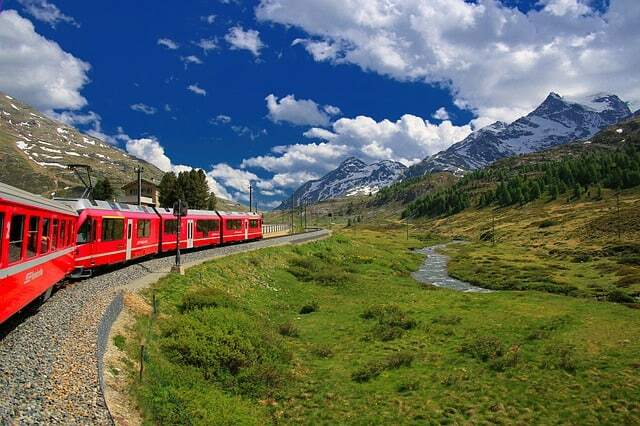 If it’s you or your partner’s first time in Switzerland, there is no better way to discover this Alpine country than aboard the ever-romantic Glacier Express. Fondly dubbed “The World’s Slowest Express Train”, a full ride covers 289 km of track over eight hours. It takes you through the some of Switzerland’s best scenery: green pastures and sunlit fields in the summer; white Alpine peaks and icy lakes in the winter. You get to view it all through (wide and high) panoramic windows for a totally immersive experience of the best Switzerland can offer. Along the way, you will see Zermatt with breathtaking views of the Matterhorn, the Solis and Landwasser viaducts with spiral tunnels, the Rhine Gorge, and the Oberalp Pass. You don’t have to sit through the whole eight hours in one go. Even though it won’t seem so long given views that will forever linger in your memory. You can stop for a little bit of nature anywhere along the way, whether it’s an overnight stay or just for a short walk. Candlelight dinners are always romantic, but one at La Froda takes it to a whole new level. La Froda sits in what they call the “world of stones, water and wood”, towards the end of the Bavona Valley in the Italian part of Switzerland. This is the only valley in Switzerland with no direct electricity connection. So, everything is powered by either hydro or solar power. It is also a great spot to get away from all the hustle and bustle of travel as not too many people make it up this far. 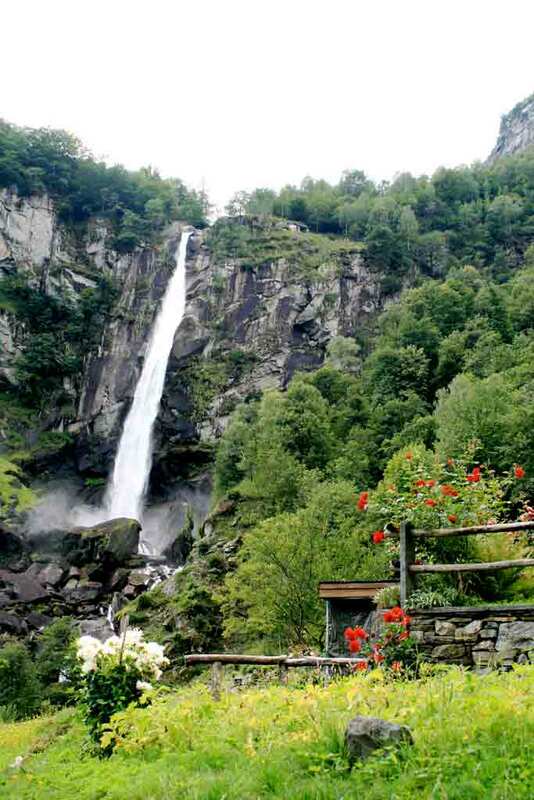 There are many walking paths through meadows and forests in this valley, but La Froda has a prime spot directly in front of the Foroglio Waterfalls. It serves delicious Italian food and excellent wine, of course. And the best part? It’s been around since 1928 but still remains one of Switzerland’s best kept secrets. Epic views, intimacy, and delicious food will make for a truly romantic dinner at La Froda. There are many ways to cross the great Lake Geneva, but a ride on the prestigious La Suisse injects a little bit of old world glamour. This restored and well maintained steamboat is a masterpiece on its own, and you can even watch the paddle churn through the water as you sit in comfort inside the ship. The La Suisse is CGN’s flagship ferry, renovated in 2009 but preserving its original look and feel. It has first and second class lounges and a pub with full views of Lake Geneva and the surrounding mountains and vineyards. Meals are served in the lounges, but you are free to simply stand on the deck and take in the romantic views of the Swiss countryside and Lake Geneva. Don’t forget to be on the lookout for perhaps the most photographed castle in Switzerland, the Chateau de Chillon, as it sits quietly by the water alluding to its historic past. You may have had a spa date, but have you ever had a Swiss thermal spa date? With the abundance of mountains around romantic Switzerland, natural thermal spas and wellness hotels are super-popular in this country. Drawing from the mineral hot springs inside the Alps, thermal spas are a great way for any couple to not just bask in relaxing hot water but also soak up the epic Alpine views. 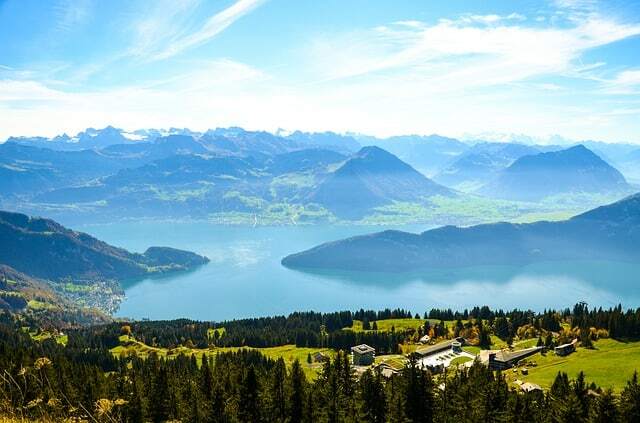 For a more intimate and less-crowded spa date, head up to the mountains outside Lucern to the Mineralbad & Spa Rigi-Kaltbad. Out of the many outdoor thermal spas in Switzerland, Minerlbad & Spa Rigi-Kaltbad stands out mainly because there are no children allowed in the thermal pools. That drastically cuts the crowd and gives couples more peace and quiet while gazing out at the surrounding mountains and views from Rigi Kaltbad. It’s an ultra-modern spa, designed by one of Switzerland’s best, and only reached via an age-old tradition cogwheel train from Vitznau. To take the romance level up a notch, you can combine it with a steam boat road from Lucerne, a stay at the attached Hotel Rigi Kaltbad so you can have the spa to yourselves for two hours every morning, before the non-guests arrive! You’ve gone around Switzerland and your unforgettable Swiss love affair is coming to end. Have you decided that you’ll be together forever? 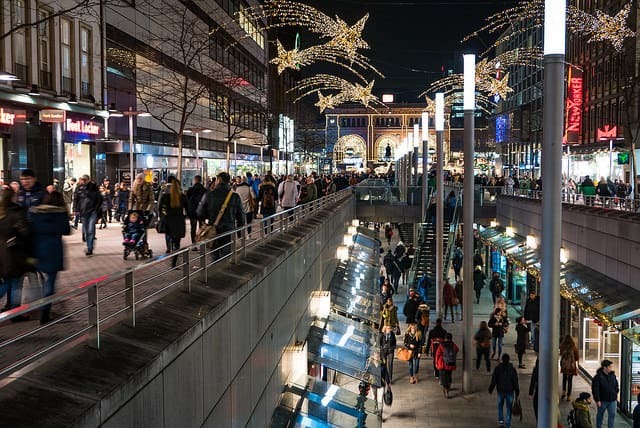 If so, head to one of the world’s most famous and luxurious shopping streets, the Bahnhofstrasse in Zurich. Take some time to soak up the Rolexs and Omegas before heading to the sparkling jewelry shops that abound here, including Tiffany’s. Pick out a ring that will mark your love and commitment for each other forever. If a ring is too much for you, simply take a stroll along this shopping street and dream of the days when you can afford to shop here with reckless abandon! Here you will find some of the world’s biggest name brands and some high-end local designers. If you’re planning to take home a special souvenir to remember your romantic getaway in Switzerland, then Bahnhofstrasse has endless options for elegant gifts to truly make your partner’s heart skip a beat. So, there you have it. Ten unforgettable ways to inject a little romance into a visit to one of the world’s most scenic locations. Switzerland will leave its romantic mark on you both for sure! Author Bio: Roger is a mad traveler and lover of the outdoors. Originally from Australia, he is now living in Switzerland where he spends most of his time traveling, blogging, hiking, mountain biking or flying his Mavic Pro drone. You can find him online at his blog or on Twitter. Amazing post.Thanks for the post.I would love to visit here with my wife.Keep sharing.